First, the good news. The Bureau of Labor Statistics reports that workplace homicides declined by 16% between 2012 and 2013. However, fatal workplace violence (including injuries by persons or animals, and including suicides) still accounted for a staggering 1 in 6 worker deaths in 2013, for a total of 753 American lives lost to workplace violence. OSHA and the CDC have articulated that a major hurdle to further lowering the workplace homicide rate may be eliminating misconceptions about the conditions under which fatal violence occurs. For example, many Americans entertain the stereotype that fatal workplace violence usually involves a disgruntled worker “going Postal” and attacking his or her colleagues. However, according to the most recent report by the U.S. Department of Justice’s Bureau of Justice Statistics, over 70% of workplace homicides are committed by robbers and other assailants in the course of a related crime. In fact, only 11.4% of workplace homicides are perpetrated by current or former employees of that workplace. Another inaccurate stereotype is that the setting most likely to experience a workplace homicide is a late-night convenience store or tavern. It’s true that establishments that are open late and sell alcohol have elevated rates of violence and homicide. (A CDC study found that liquor store employees experienced a homicide rate about 7.5 times above average.) Yet, as OSHA points out, the occupation most likely to experience workplace homicide is actually taxi and for-hire drivers, whose homicide rates are an astounding 21 to 33 times the national average! 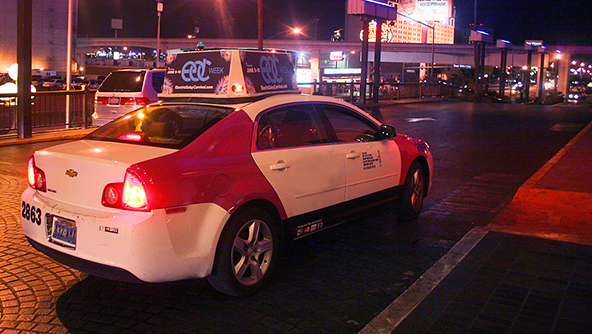 Taxi and for-hire drivers experience an unfortunate “trifecta” of risk factors, including working late at night, working with cash, and working around people under the influence of alcohol. In response, OSHA has issued a number of safety fact sheets providing safety and protection information explicitly for workers in these occupations. In addition to regulatory bodies, other entities have begun actively contributing to the creation of assets that can improve the statistics on workplace fatalities. In 2012, the City of Houston — using funds from the Department of Homeland Security — created an instructional video containing survival best practices for workplace active shooter scenarios. MSDSonline’s workplace training course library contains several expert-reviewed modules related to the kind of workplace safety events precipitated by violence on the job. Most essential is our “Workplace Violence” module, which provides employees with explicit information on violence-producing environmental conditions to avoid, control strategies, steps for responding in violent situations, and more! For additional information on OSHA’s guidelines for developing violence prevention plans, visit their workplace violence webpage. To view MSDSonline’s course catalog, visit our online training library here.